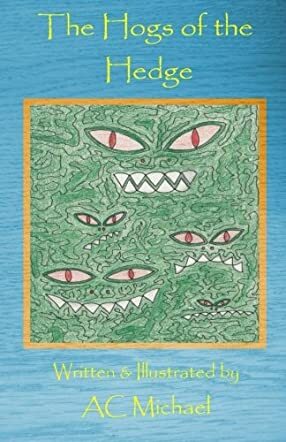 The Hogs of the Hedge: Curious Characters Book 5 by AC Michael is a fun read for children. Horace’s garden is being infested by slugs. He tries everything to get rid of them, but they are back every morning and Horace is scared that his flowers will be munched and his vegetables will be crunched. The dahlias in his garden are for the flower show and the cabbages are for Grandma Flo. He decides to ask for help from the hogs of the hedge and puts up a big signpost, saying the hogs will be there soon so that the slugs get scared and leave his garden. Will Horace succeed in getting rid of the slugs? Will his dahlias survive until the flower show? And will he be able to take cabbages to Granny Flo? The story is narrated with the help of rhymes which make it lyrical and rhythmic. The illustrations are charming, colorful, and delightful and, apart from breathing life into the scenes and characters, they give pace and movement to the story. It’s a good bedtime storybook for children, and parents and grandparents can read it out at night to their kids and grandkids. The story is good for interactive sessions too in classrooms and school libraries. The book will put smiles on the faces of all young readers. They will want to know if the hogs will eat the slugs and if Horace’s plan to get rid of the slugs works out.